distracting factor which might throw a doubt upon all his mental results. Grit in a sensitive instrument, or a crack in one of his own high-power lenses, would not be more disturbing than a strong emotion in a nature such as his. 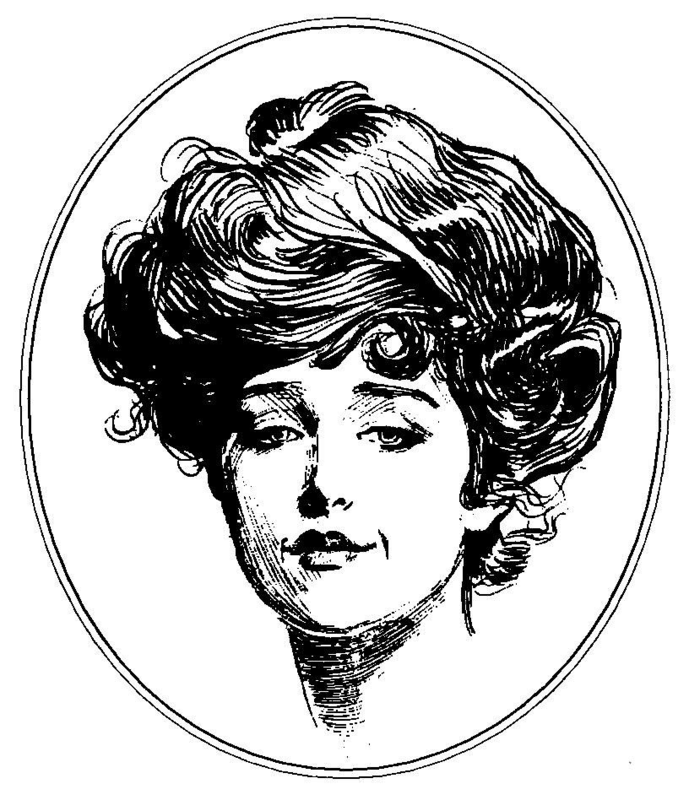 And yet there was but one woman to him, and that woman was the late Irene Adler, of dubious and questionable memory. “Not at all. The ‘G’ with the small ‘t’ stands for ‘Gesellschaft,’ which is the German for ‘Company.’ It is a customary contraction like our ‘Co.’ ‘P,’ of course, stands for ‘Papier.’ Now for the ‘Eg.’ Let us glance at our Continental Gazetteer.” He took down a heavy brown volume from his shelves. “Eglow, Eglonitz — here we are, Egria. It is in a German-speaking country — in Bohemia, not far from Carlsbad. ‘Remarkable as being the scene of the death of Wallenstein, and for its numerous glass-factories and paper-mills.’ Ha, ha, my boy, what do you make of that?” His eyes sparkled, and he sent up a great blue triumphant cloud from his cigarette. “I was aware of it,” said Holmes drily. It was close upon four before the door opened, and a drunkenlooking groom, ill-kempt and side-whiskered, with an inflamed face and disreputable clothes, walked into the room. Accustomed as I was to my friend’s amazing powers in the use of disguises, I had to look three times before I was certain that it was indeed he. With a nod he vanished into the bedroom, whence he emerged in five minutes tweed-suited and respectable, as of old. Putting his hands into his pockets, he stretched out his legs in front of the fire and laughed heartily for some minutes. “Quite so; but the sequel was rather unusual. I will tell you, however. I left the house a little after eight o’clock this morning in the character of a groom out of work. There is a wonderful sympathy and freemasonry among horsy men. Be one of them, and you will know all that there is to know. I soon found Briony Lodge. It is a bijou villa, with a garden at the back. but built out in front right up to the road, two stories. Chubb lock to the door. Large sitting-room on the right side, well furnished, with long windows almost to the floor, and those preposterous English window fasteners which a child could open. Behind there was nothing remarkable, save that the passage window could be reached from the top of the coach-house. I walked round it and examined it closely from every point of view, but without noting anything else of interest. “I was still balancing the matter in my mind when a hansom cab drove up to Briony Lodge, and a gentleman sprang out. He was a remarkably handsome man, dark, aquiline, and moustached-evidently the man of whom I had heard. He appeared to be in a great hurry, shouted to the cabman to wait, and brushed past the maid who opened the door with the air of a man who was thoroughly at home. It was a quarter past six when we left Baker Street, and it still wanted ten minutes to the hour when we found ourselves in Serpentine Avenue. It was already dusk, and the lamps were just being lighted as we paced up and down in front of Briony Lodge, waiting for the coming of its occupant. The house was just such as I had pictured it from Sherlock Holmes’s succinct description, but the locality appeared to be less private than I expected. On the contrary, for a small street in a quiet neighborhood, it was remarkably animated. There was a group of shabbily dressed men smoking and laughing in a corner, a scissors-grinder with his wheel, two guardsmen who were flirting with a nurse-girl, and several well-dressed young men who were lounging up and down with cigars in their mouths. 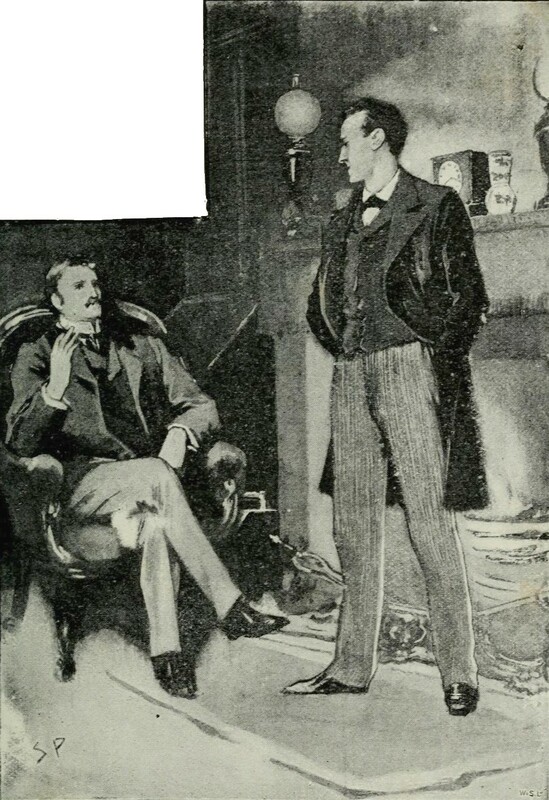 Holmes had sat up upon the couch, and I saw him motion like a man who is in need of air. A maid rushed across and threw open the window. At the same instant I saw him raise his hand and at the signal I tossed my rocket into the room with a cry of “Fire!” The word was no sooner out of my mouth than the whole crowd of spectators, well dressed and ill — gentlemen, ostlers, and servant-maids — joined in a general shriek of “Fire!” Thick clouds of smoke curled through the room and out at the open window. I caught a glimpse of rushing figures, and a moment later the voice of Holmes from within assuring them that it was a false alarm. Slipping through the shouting crowd I made my way to the corner of the street, and in ten minutes was rejoiced to find my friend’s arm in mine, and to get away from the scene of uproar. He walked swiftly and in silence for some few minutes until we had turned down one of the quiet streets which lead towards the Edgeware Road. “It is true. And yet — Well! I wish she had been of my own station! What a queen she would have made!” He relapsed into a moody silence, which was not broken until we drew up in Serpentine Avenue. “I am immensely indebted to you. Pray tell me in what way I can reward you. This ring –” He slipped an emerald snake ring from his finger and held it out upon the palm of his hand.